Daniel McKinnon is the Managing Director and Principal of Complete Legal and Conveyancing. With a combined 10 years in legal education and practical experience, Daniel has worked in and around Western Sydney for many many years. Daniel’s long-term exposure to the needs of his suburban clients means he is experienced in a wide variety of practice areas including Wills & Deceased Estates, Conveyancing and Property Law, Wills Disputes, Business Law and Commercial Law. Daniel has extensive experience in estate litigation (will disputes or as it is sometimes described “contesting a will”) and estate planning, having worked side-by-side with experts and specialists for much of his career. Daniel has overseen hundreds of property sales and purchases, and has learnt that purchasing or selling a property is often the most important thing a person does in their lives. 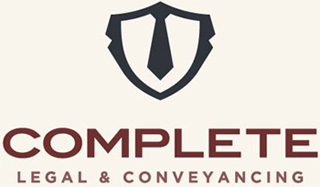 This, coupled with a history of working on commercial transactions such as the sale and purchase of businesses, means that Complete Legal is perfectly positioned to help you with all of life’s major milestones, from buying or selling a home to starting a business and planning for the future with your last will and testament. Daniel was born and educated in Penrith, and as such spends his Winter weekends barracking for the Penrith Panthers. He also enjoys playing sports such as Oztag and Cricket. Daniel Allam has been working with Complete Legal since the firm began. Experienced in a variety of areas such as criminal law, property law, commercial law, property development and deceased estates, Daniel lives locally and has an incredibly detailed knowledge of the local community. Daniel’s family have lived and done business in Penrith for many decades, and he is proud to continue that tradition in his role with our law firm. In his spare time Daniel enjoys shooting clay targets, visiting quality restaurants with his fiancé and travelling to the South Coast to relax. Jenna has been working with Complete Legal and Conveyancing in our Penrith office since May 2015. Jenna has extensive experience in conveyancing and property law as well as wills and deceased estates and has fostered a keen interest and skill in family law. Jenna works closely with the head of our family law department to assist our family law clients with all of their needs. Jenna is a very talented up and comer and we are excited to see her become a fantastic lawyer in our firm in the years to come. Natalie Viet is a solicitor and registered migration agent (MARN: 1680242) who has been working with Complete Legal and Conveyancing since June 2015. Natalie assists our clients in relation to property law and conveyancing, Wills and deceased estates, Will disputes, Powers of Attorney and Enduring Guardianship and immigration law. Natalie has a very unique skill set and is able to speak fluent English, Cantonese and Mandarin. Natalie services our clients from many different backgrounds and has a natural affinity with our many Chinese clients assisting them with the purchase of property and with immigration.